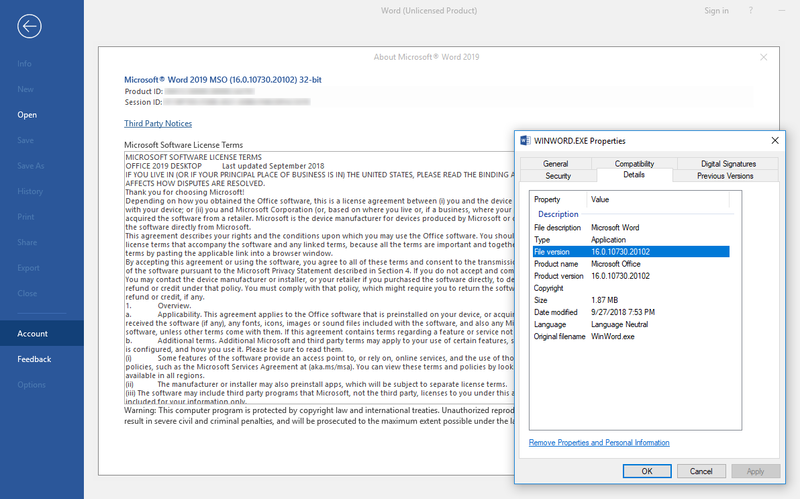 There are a lot of confusion    on what is going on exactly with Office 2019's major version number being 17. The internal version number for Office 2016 is 16, so most will guess the version number for Office 2019 would be 17, right? Nope. The development and release process of Office changed starting from Office 2016, instead of big major releases every few years, Microsoft has chose to incrementally release new features for their Office 365 customers every few months instead. Because of this, it's also not possible to install Office 2016 and 2019 on the same Windows installation as they share the same major version number.